If you take a cruise on the Rhine River in Germany, you will be able to see picturesque views of very old castles, cultural town and historical cities, as well as German vineyards. During the summer season, “Rhine in Flames” will take place in the center part of the Rhine River when it will be featured nightly fireworks. The visitors that will want to see Germany will have a wide range of different types of cruises on the Rhine River – from 2-hour cruises to extended cruises. There are a few Rhine River cruise operators from which you can choose. AmaWaterways AmaPrima – Ship christening party – Image credits at the end of this article. AMA Waterways will provide a few Rhine River cruise packages featuring a few stops in several towns from Germany as well. The Oktoberfest Escape is a cruise which will last for 11 days and will begin in Munich with various stops in Bamberg, Cologne, Nuremberg or Amsterdam. There is also the Rhine Winter Voyage which will last for 13 days and will being in Basel. 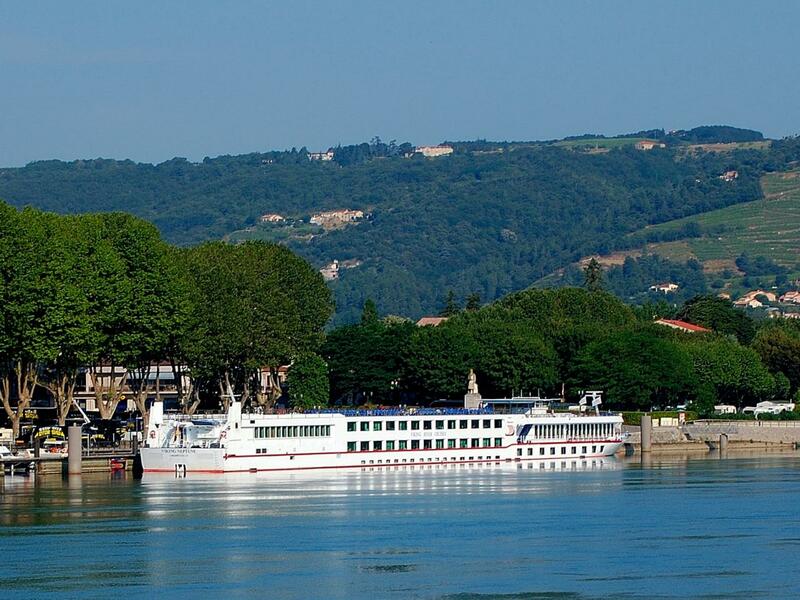 This cruise will travel through the Back Forest and will also have various stops in Heidelberg, Cologne or Strasbourg. 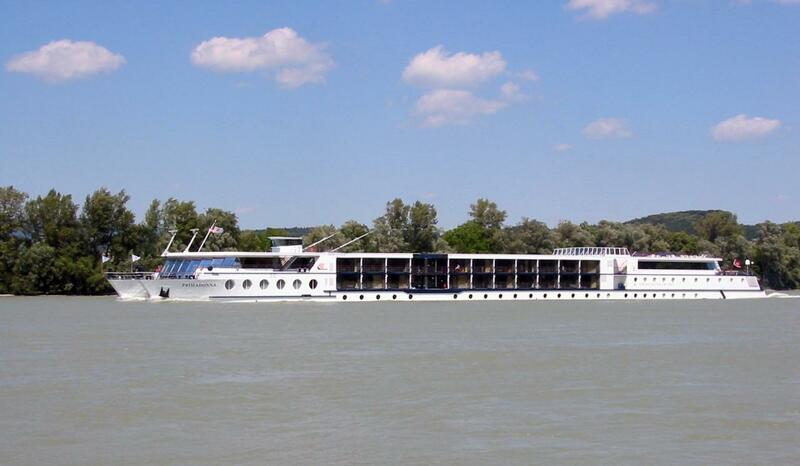 This river cruise line has various cruise package available along the Rhine River from Germany. 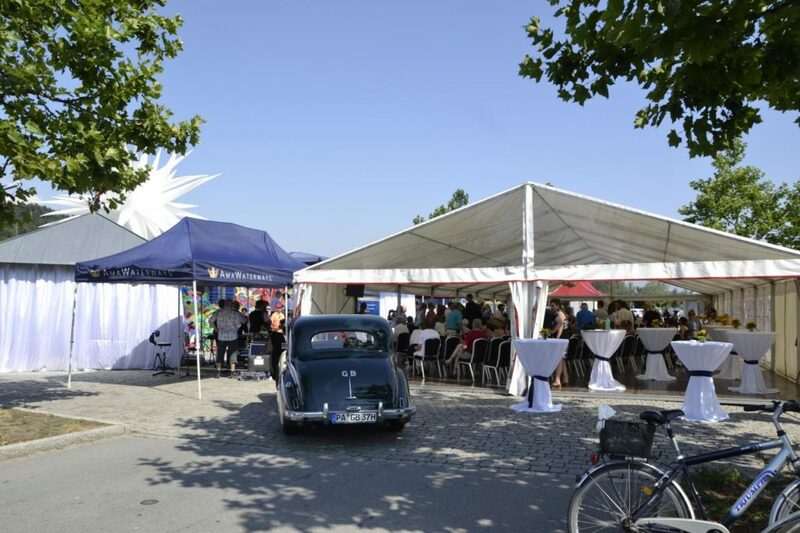 The 6-day Metropolises cruise will start and will also end in Cologne. The cruise will include various stops in Frankfurt, Braubach, Niederlahnstein or Cochem. There is also a 6-day Fortress cruise which will also begin in Cologne and will have various stops in Mannehim, Kehl, Braubach. Frankenwerft Abenddämmerung Köln – Image credits at the end of this article. 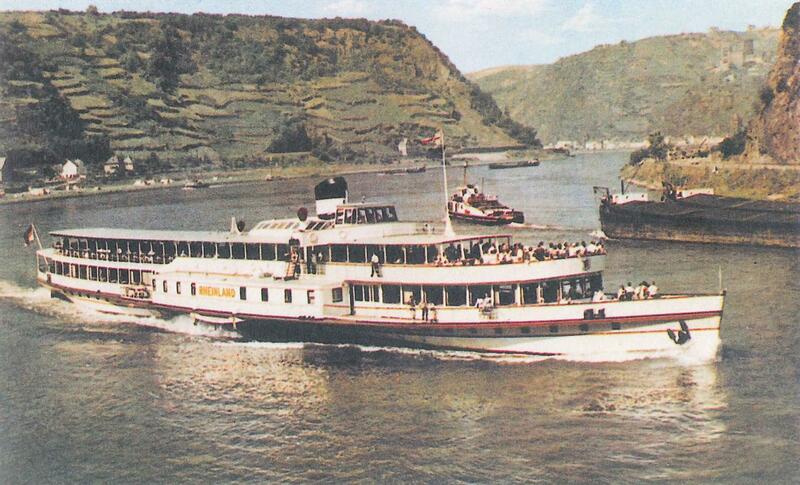 Rheinland (ship, 1926) KD 004 (1960) – Image credits at the end of this article. This river cruise company will provide quick Rhine River trips for all the travelers out there who want to take a look at Germany in a different way. The company will include afternoon cruises, brunch cruises and dinner cruises on a weekly basis. The short cruise tour will start and it will also end in Cologne, and most of them will provide German food and music. The dinner cruises will feature dancing and gourmet cuisine. This cruise company will also provide group tours for holidays or special occasions. Viking River Cruises – Primadonna – Image credits at the end of this article. Viking River Cruises will provide many river cruises throughout Europe and will also include several such cruise tours on the Rhine River as well. There is an 8-day Rhine Getaway cruise which will begin in Amsterdam and will travel through all the Germany. The destinations provided by this cruise tour will allow passengers to have several choices for their trips such as accommodation at various Rhine River hotels as well as visiting various other Rhine River attractions. Various stops will also be available at Cologne, Rudesheim, Speyer or Basel. Viking Neptune (ship, 2001) – Image credits at the end of this article.